Cook's Country magazine has No ads whatsoever which makes for an extremely enjoyable user / reader experience. 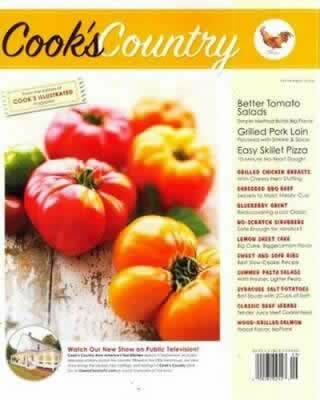 Cook's Country is a content rich publication that has full color pull-out recipe cards for ease of use. Reviews of products are thorough and comprehensive and are probably less biased than other publications that allow advertising. Cook's Country is the type of publication that will earn a spot in your cookbook section since it is full of useful tips and techniques. 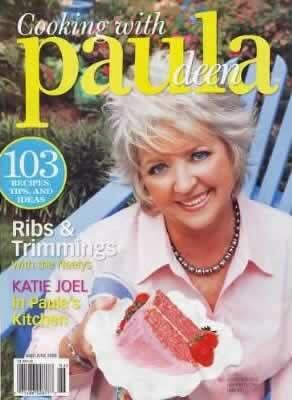 Cook's Country magazine is associated with the television show America's Test Kitchen which airs on public television. America's Test Kitchen was Founded and is edited and hosted by Christopher Kimball.